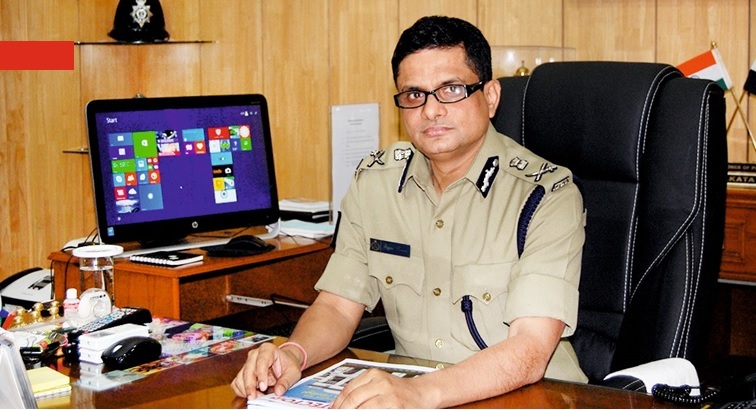 The Central Bureau of Investigation (CBI) in Shillong on Saturday, has started interrogating the Kolkata police commissioner Rajeev Kumar. Kumar arrived at the Central Bureau of Investigation (CBI) offices in Oakland, Shillong at 10.45 am this morning. The interrogation of the police commissioner started at 11 am. Rajeev Kumar had arrived in Shillong on Friday evening via Guwahati from Kolkata. He arrived on AI 9711 flight from Kolkata on Friday afternoon to Guwahati then proceeded to Shillong. Three more West Bengal cadre IPS officers and his younger brother accompanied him. He is staying at the Meghalaya Police guest house. Kumar was directed to appear before the Central Bureau of Investigation (CBI) in Shillong, the capital of Meghalaya as a neutral place on Saturday last, by the Supreme Court, to submit evidence and cooperate with the probe into chit fund scams in Bengal. The drama began on last Sunday evening when a CBI team which arrived inKolkatato question Rajeev Kumar over the Saradha chit fund scam was detained by the Kolkata Police for a few hours. It led to a face-off between Mamata Banerjee and the ruling BJP at the Centre. West Bengal Chief Minister Mamata Banerjee staged a sit-in protest for over 45 hours following the fiasco.